I am not sure if it is characteristic of other people with bipolar disorder, but I tend have OCD tendencies. I am not using that word loosely because I know that it bothers people (including myself) when words like adhd, ocd, bipolar, schizo are tossed around as adjectives. For example, when it comes to exercising, I will exercise every day for three months, but I miss one day and then I am done and basically quit. I have to have everything just right or I am not happy. I have been labeled a perfectionist and although I have gotten better, I still struggle. I can’t stand messes, things on my walls and shelves need to be balanced, and I will write and rewrite things until it almost gets ridiculous. As I struggle through mainly the mania part of my bipolar disorder, I get very discouraged if everything is not the way I want it. I will get very down on myself when I slip up and do things I have decided not to do ahead of time. I expect myself to be perfect and appear “normal” I try to convince others so much, that I think it makes me sicker. Note: the people who know me know anyway as I tell them when I sense myself getting manic. It has been observed by others and I tend to agree that many times I work myself into a manic episode. It was today when I was struggling with hypomania that I realized that I was being way too hard on myself. Everyone has bad days and I just happened to be having one. I have been very irritable, my mind has been racing, and I just talked my husband’s ear off. Thank goodness he understands that this is just part of my illness and knows he can tell me when he has had enough. Getting to the self-control part- While hypomanic, I need to do certain things. I might find it hard to control certain behaviors and get down on myself when I do a bad job, but these are things I do have control over. Here are some things that I can control and having bipolar disorder should work as hard as I can to do so. I apologize for using the word control so many times, but it is the best way to express what I can do for myself to get through the hard time of being “manicky”. I need to do them in moderation. Spending time online, writing furiously, sending long emails, calling people I would normally not call are okay. However, I do need to slow down. Things can be done tomorrow and if I want others to think that I am just someone with a mental illness rather than a crazy person, I can’t do so many things. I need to take time to relax. All the energy and motivation I have been lacking while depressed, comes to the forefront and I would stay up all night working on all the things I have wanted to do. However, this is not smart. I need to take breaks and relax. I can go for a walk, force myself to watch a television show or read. It can be really hard to concentrate on a show, but I can try my hardest to control this and need to. Playing the piano or violin or listening to music are other things that help. I need to pace myself- Set goals and only work on those things that day. The other things can and should wait. If I try and tackle too much, I know from experience, I will get sicker. I know that I can convince others that I am okay and have proven that over and over again. I have worked at jobs when I was totally manic or severely depressed and no one knew. They would be shocked when I did tell some of them. I also have convinced psychiatrists, first responders, and ER doctors and nurses. Even though my family knows I am full blown manic, I have a way to just appear normal. Hiding this from others is exhausting and in the long run, I have learned is not helping me. I always let my family and a few close friends know when I first see the red flags. I need to eat right. I can control this and should. It is easy to forget to eat when I get so goal oriented and have no appetite. Making sure I set times to fix something healthy and eat is important. This can go with the relaxation part. I should stop what I am doing and cook. I can even multi-task and eat while watching television. Exercise is essential. Again, I get so busy doing all these things with all this energy I have, it is easy to forget or just avoid exercising. Exercising really is one of the best things to do to get myself grounded, help with the racing, and mostly get rid of some of that part of energy. I can control this by going for a walk or run first thing in the morning before doing anything else. I also should have my husband or friends tell me to go run around the block when I am talking a mile a minute to give them a rest. Taking time to sit in silence and just breathe is something I can do too. A lot of times, noise and a lot of things going on makes it harder to concentrate and makes me more irritable. I need to be smart enough to withdraw myself from the commotion and just go sit by myself for awhile until I what I call grounded. I can usually get myself to a place where I am not racing too. Being smart about taking medications that help with the anxiety and racing thoughts is something I can control too. I hate taking meds because of the side effects I have endured over the years and my fear I will get addicted. I do take my regular medications all the time. I have others I take only when I need them. When I am hypomanic, I do need them, and need to use them. Praying for me is another important thing. It is through my faith that I can get through these hard times. He has pulled me out of my depression which is something I have been praying for and He will get me through the mania too. I just forget sometimes to have faith that He will be watching over me. Relying on others is something that is hard to do. I have always been independent. However, I have some true friends and family members who would do anything for me and love me unconditionally have told me to lean on them. I oftentimes don’t. Again, I can control this. If I think back about the times I have been manic, I don’t think I have done my best to control my surroundings . I have not used all the tactics I have at my disposal to prevent me from escalating. That is why today I decided that I need to work harder at controlling those things. Self-control is important when you are not only manic, but depressed. I am not going into the depression part of it in this blog article, but have written about things you can do when depressed in the past. I just need to do those things. I need to practice what I preach and force myself to do those things. Self-control is defined as “restraint exercised over one’s own impulses, emotions, or desires” by Merriam Webster. I need to exercise those restraints. It is harder to control my impulses, desires and emotions when I am manic and hypomanic, but with about 30 years of having bipolar disorder, I have learned that this is important and what techniques to use. I just need to implement them better. 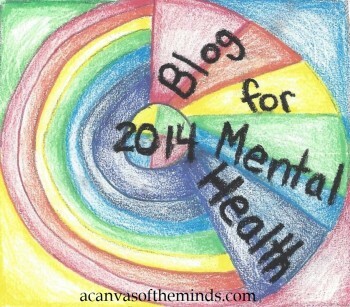 This entry was posted in mental illness, Uncategorized and tagged bipolar disorder, depression, mania, OCD, self-control. Bookmark the permalink.